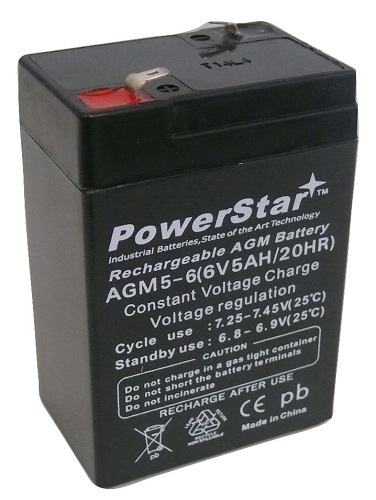 2 AGM, 6V, 7.5AH L- 5.94 W- 1.34 H- 3.70 Terminal Type: T1. Fits- APC BAY450, APC PS250, APC PS250I, APC PS450 APC PS450I, APC Smart UPS 5005. Does not include wiring harness, save and re-use existing wiring harness.